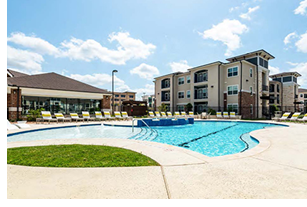 ​​​​​​​​​​ ​SAN MARCOS – Hayden Properties LLC has purchased 1271 San Marcos from Covenant Development and Parkcrest Builders LLC. The 11-acre apartment complex at 1271 Sadler Dr. has eight three-story buildings with 240 units. Amenities include a resort-style pool, outdoor entertainment pavilion, and fitness center.